263 spatial objects have ended their lives in a vast zone of open sea located between Polynesia and Antarctica over the last four decades. This cemetery received spacecrafts from Russia, the USA, the European Union, and will continue to host many of the machines Man sends to space. In a few years, even the International Space Station and her 420 tons of metal will end her mission there. Humankind has quite a knack for polluting its environment, even in the emptiness of space. NASA estimates that 500 000 space junks are currently orbiting Earth. They range from the very small – small specks of paint, screws, tools let loose by astronauts, or even the remnants of satellites destroyed in their orbit. Just 10 years ago, China tested one of its new weapons by pulverizing one of its old spy satellite, Fengyun 1C. The ensuing cascade of high speed junk damaged several other satellites in the same orbit… And led to the scenario of the movie Gravity. Too much space pollution and no one will be able to leave our planet for a while, so space agencies from the world have tried to limit their occupation of the near-space by planning the end of their missions. And any orbiting object has only one final destination: the Earth. One final show of its thrusters at the perfect time will place the satellite on a new trajectory of “orbital decay” that will send it to our atmosphere to burn. Whatever was not carbonated then crashes on Earth, in the desert or isolated place far away from any human settlement that the engineers were aiming at. Of all the isolated places in the world, Pacificans will not be surprised to hear that our ocean has the biggest area of water with no shoreline of the planet, south of the Austral Islands (French Polynesia). The place farthest away from any land – even an island – is called the “Nemo Point” (from the character Captain Nemo in the book Twenty Thousand Leagues Under the Sea by Jules Verne). 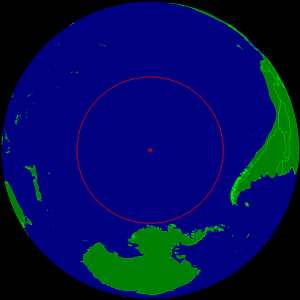 It is the center of the Oceanic pole of inaccessibility, a circle of open waters, radius 2688 km, touching Rapa Nui in the North East, Pitcairn in the North and Maher Island in the South, off the coast of Antarctica. 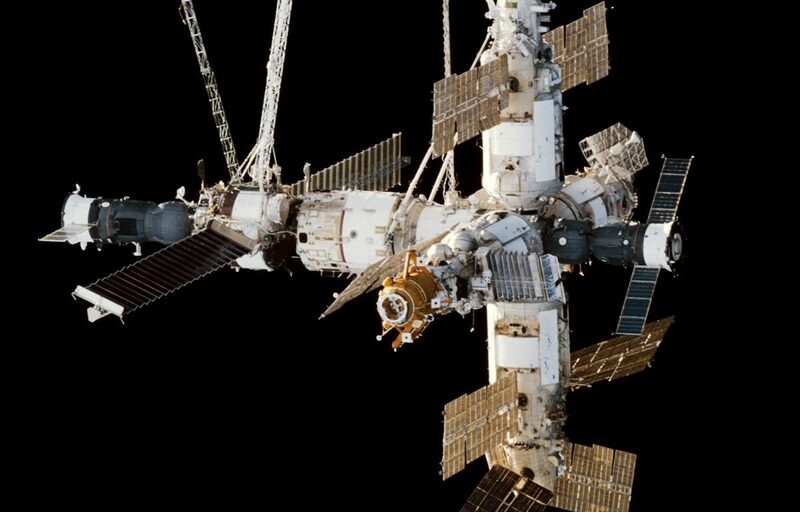 The most famous resident of the Pole of inaccessibility is Mir, the Russian space station of 142 tons, who crashed there in 2001 after the end of her 15 years mission. Around her are all the anonym machines of the great effort to conquer space: boosters, second stages of various rockets, cargo spacecrafts, old spy satellites (these are usually picked up by a submarine) and other obsolete pieces of technologies. And when the huge International Space Station (ISS) will end its mission, between the years 2028 and 2040 depending on fundings, she will join Mir in the depths of the Pacific Ocean. The ISS is currently the biggest man-made object even to be assembled in space. She weighs 420 tons and spans the area of a soccer field. Her atmospheric re-entry will be the most perilous of the history of space exploration: friction and air compression around this projectile going 7.66 km/s (27,580 km/h) will bring the temperature to several thousand degrees. She will disintegrate in several chunks who will – if no one messes up their calculations – end their frenetic race in the cold waters of the South Pacific, a few thousand kilometers south off our blissfully unaware heads. The ISS will then rest is the biggest space cemetery in the world, surrounded by the remains of hundreds of other former spatial objects in the calm of the deep sea, troubled only by the occasional whale or giant skid. Photo credit: Mir space station. Picture by NASA, taken in February 1998 by the space shuttle Endeavour.